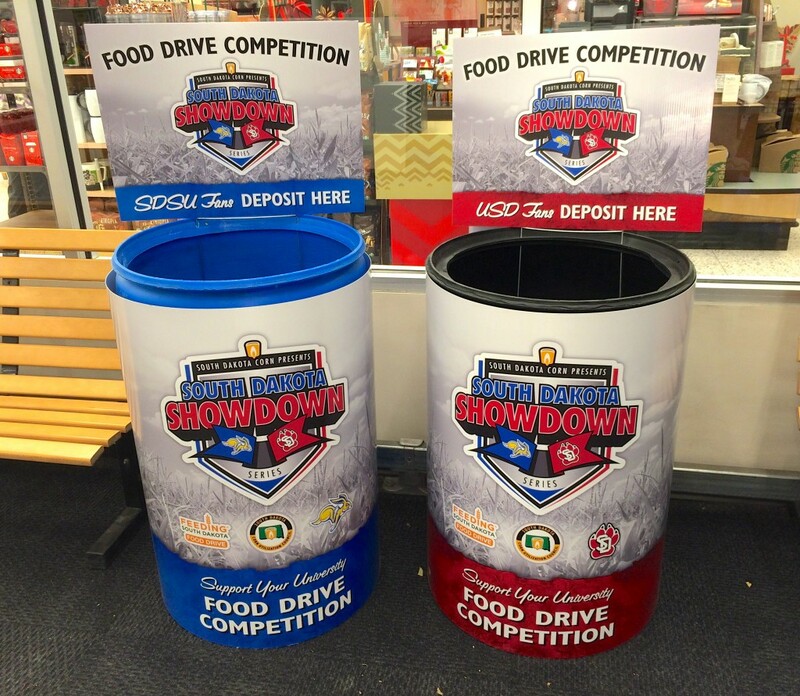 It’s a busy week for the South Dakota Showdown Rivalry Series between the South Dakota State University Jackrabbits and the University of South Dakota Coyotes with the football match up on Saturday (Nov. 16) and a food drive being held all this week at Hy-Vee Stores in Sioux Falls, Brookings and Vermillion. Fans are encouraged to take part by donating non-perishable items as a way to help those in need and to support their favorite university with the opportunity to earn Showdown Series rivalry points. Jim Woster has the details in this week’s segment. This entry was posted in Corn Comments Podcast and tagged corn comments, Feeding South Dakota, Food Drive, Jim Woster, Showdown Series.